I tried…. but just too discursive and full of personal opinion. 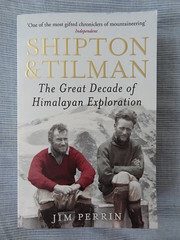 I’ve given up before 1930s explorers / adventurers / mountaineers Shipton and Tilman have even met. I may return and try again….